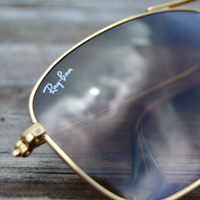 Sharp Style Blog: Tell us about you and your background. SSB: What motivated you to start Thread & Salt, and what is the meaning behind the name? T&S: My wardrobe got to a point where I felt it was established, it had a direction and I almost obtained that 'effortless composition' effect I strive for. Truthfully, curiosity drove me to start thread & salt. I wondered if what I was doing actually made sense (I’m still not sure if it does, but I like nonsense). Not to mention, I had an archive of foodporn to make a fat kid do hurdles. The name stems from the content, pictures of food and pictures of clothing. Thus thread (clothing) & salt (food). SSB: How would you describe your personal style? 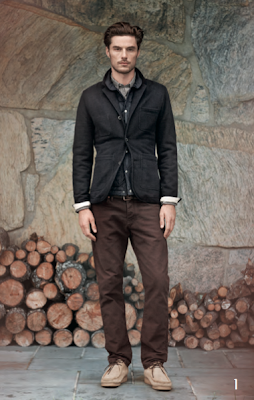 T&S: Modern American worn. I make a conscience effort to avoid adding items with that "preworn" look, I’d much rather wear it 30 times and create that authentic vibe. There’s nothing better to me than unpolished shoes, frayed cuffs and bandana scraps. It’s very fit focused, because I’m a smaller guy (5'7) I have to be very aware of fit and proportion - it makes adding items to my closet very difficult and almost forces brand loyalty. Luckily, some of the brands I’ve found fit well - are quality stuff. I also think I understand what colors work best with me, although occasionally I stretch this, it's important to identify what draws focus to what and simply what colors you look best in. 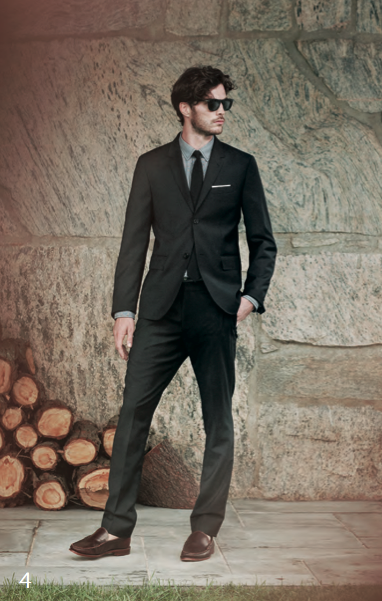 I can really bang out a mean formal look also, but I treat that on reserve. Come on, I’m a reckless 21 year old college kid, tieclip < try not to trip. SSB: Whose style do you particularly admire? T&S: I’ve been following menswear blogs for roughly 2 years now so I’ve seen some these guys evolve and establish. 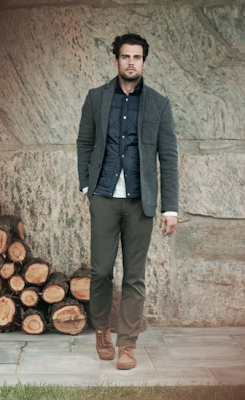 I really admire Sean Hotchkiss (@ShotchkissNYC) because he has a very approachable and functional wardrobe. From what I can tell, we have similar stature - I’ve pirated some ideas from him. Also, Ryan Plett (@ryanplett) - every one of his posts brings #envy. Everyday I’m finding more style icons to admire, err - aspects of them to admire. SSB: What is the one thing people would not know about you from looking at your blog? SSB: What is one thing in your closet you could not live without? T&S: Aside from my "perfect blue blazer" (Bonobos almamater) I have this one grey marble hoodie from Gap, it’s warm, it’s a little too small and it looks good. It rarely sees the daylight, but its perfect for dehydrated mornings..
SSB: What stores do you like to shop at, and what is one quality item you think guys should invest in? T&S: I shop online mostly but that’s attributed to my location. I've been spending a bunch of time at WHARF (@shopWHARF) recently and picking up a few things there when I can. As far as tangible stores go - Club Monaco, Levis & J.Crew. Careful with J.Crew - their quality has been slipping. SSB: You always have cool stuff around your wrist, especially the bandana shreds. Where do you find it all? T&S: I’ve been wearing odd things around my wrist for awhile now, most of them I make, I have this big bag full of random cuffs, fabrics, lace, twine - everything. So whenever I have 30 minutes to kill I make something. I have roughly 15 bandanas and one pocket knife. but I’ll be picking up a KJP bracelet. SSB: You seem to be doing a lot with Alex of mrdanger recently. How did you two meet and do you influence each other's styles? T&S: Yeah, Alex is a great guy. I actually met him via tumblr, we have a very similar sense of style and personality, so we hit it off pretty quick. We’re working on some big things for this upcoming year so I’d say we influence each other a bit - probably more in the future. SSB: What are your future plans for your blog? T&S: Take over the world. haha. I still am not sure, I’d like to transition some of my "thread" posts to another outlet and keep my blog as a sort of personal area. but we'll see. I didn’t know what to expect from the blog itself, it's already given me much more then imagined. You can check out Dillon's blog at threadandsalt.com and follow him on Twitter @threadsalt. 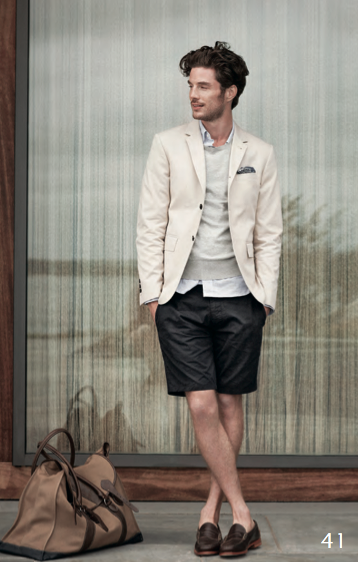 Here's a look at some of the highlights of the Club Monaco Spring 2012 Lookbook. In addition to the various single Social Media Style posts, I thought I would start grouping some of the pictures together. 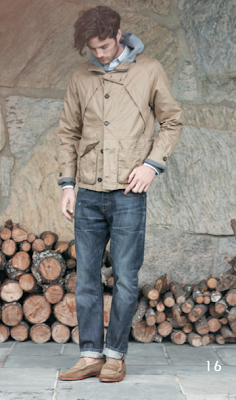 Here are a few examples and some thoughts on layering. 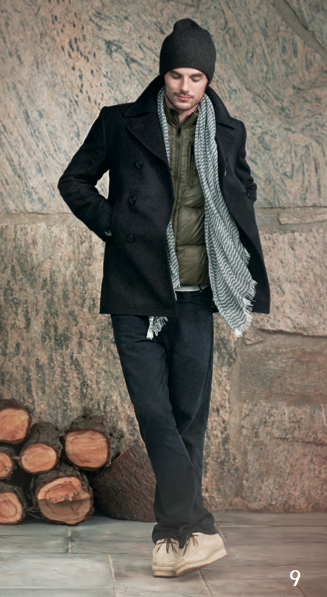 Layers are much more efficient at keeping you warm in colder temperatures. 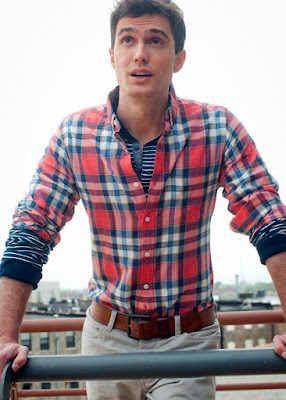 You can mix pretty much any patterns, even stripes and plaid can work together. They also make it easy to add a bright color to a look. It's finally starting to get a little bit colder where I live so I can finally start wearing my thicker sweaters, including this one I just got for Christmas. 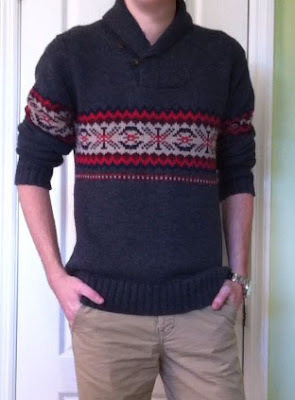 It's heavy knit sweater that has an awesome fair isle stripe and a shawl collar, something kinda different for me. I kept it simple and just wore it over a gray v-neck t-shirt and paired it with some slim fitting khaki pants. Happy New Year from The Sharp Style Blog!